© 2015 by Will Kaufman. 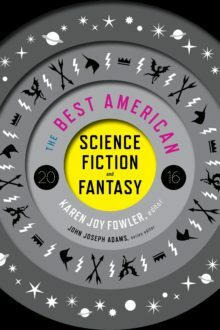 This story also appears in the BEST AMERICAN SCIENCE FICTION AND FANTASY 2016, edited by Karen Joy Fowler (guest editor) and John Joseph Adams (series editor). Available now from Houghton Mifflin Harcourt. “Don’t go down to the well,” said Theo to his son. So, of course, Tim went to the well. He was thirteen, and his father told him not to. There was no magic to it. To get to the well — and not the well in the center of the village, because everyone knows where that well is, and no one has any stories about it except for whose grandfather dug it and how soon it’s going to go dry — you’ve got to go around behind the butcher’s, to the bottom of the muddy slope at the edge of the wood that the butcher says he doesn’t throw his offal down. Everybody knows the butcher throws offal down the slope so the wet gentleman will eat that instead of crawling up to eat the butcher’s daughter. At the bottom of the slope, look for the bones of the burnt cottage in among the willows, then look for the moon. You know this only works at night, don’t you? The wet gentleman won’t come out during the day. Walk towards the point halfway between the moon and the cottage, and eventually you’ll come to the well. Tim sneaked from his father’s house with a penny in his hand and his dog at his side, a dog that he loved because it would never lie to him or trick him, that he would play with even when the other children invited him to join their games, because when he told the other children to follow him, or wait for him, they would laugh and run away, but not his dog. When his father tucked him in to bed, it was his dog he asked for a last kiss goodnight, its cold nose snuffling at his cheek, because his dog never told him what to do, or sent him to bed without his dinner for not minding, because what do dogs know? Maybe if Tim had been a king or a god he could have loved the other children, or his father. What happened to Tim when he went to the well? You must know how the story ends — or rather, that it never ends. Surely you’ve heard about the others who went to the well, like Ma Tathers. When Ma Tathers went to the well, she got just what she paid for. She heard about the well because of what happened to Miser Horton, so she knew the wet gentleman lived there and would grant wishes if he were paid a penny. Miser Horton went because he knew the story of Little Susanne, and both of them got just what they paid for, too. Even though Ma Tathers had heard the stories, the same stories you’ve heard, and knew better than to think she could trust the wet gentleman, she did not know what else she could do. She would never take charity, even when it was offered, as though some bone in her body, maybe her fourth rib or her left shin, was so stubborn or proud it made her shift her ponderous breast, lift her swollen leg, and turn away from any helping hand. Without charity, and with her eyes going, and her grandsons getting bigger and needing more to eat every day, Ma Tathers didn’t see where she could afford to buy what she needed but from the wet gentleman. The day she decided she would go to the well, Ma Tathers worked as fast as she could, the needle fleet in her crooked fingers. She stitched up every shirt and every pair of pants she could coax from the villagers, but that night she had fewer pennies than she’d earned the day before, just four dull coins sitting on the rough wood of her bare table. Spending one that night would mean three pennies for the next day’s meals, and while the boys might not complain, their stomachs would grumble mightily. Of course, their stomachs would never grumble again once Ma Tathers got what she paid for at the well. So she walked the moonlit path, and she dropped her penny down the dark, stone mouth of the crumbling well. Instead of the ringing of a coin hitting stone, or the plop of metal falling into swampy muck, Ma Tathers heard the squelch of wet silk and the pattering of dripping water. The wet gentleman emerged from the well, top hat first, eyes hidden, shadowed from the moonlight by the flat brim. His face was long, home to a wide mouth that turned down at the corners. His suit was fine silk, his shoes shined even in the night, and he leaned on an ivory cane. All his raiment was soaked through, and water ran from all the creases, and a puddle formed at his feet. He was very tall, very thin, and Ma Tathers had not really expected him to exist. “I am tired,” said Ma Tathers, who always answered plainly. “So you wish to be young again,” said the wet gentleman, and he took her hand. Music came out of the well, pipes and strings. “No,” said Ma Tathers, but the wet gentleman spun her, and ice-cold water ran down her arm, and her feet felt light, and her joints did not ache, and her back was straight, and she knew the steps to the dance he led her on. “No,” said Ma Tathers, but her hips swayed, and did not pop or creak. The corners of the wet gentleman’s mouth twitched upward. When Ma Tathers wandered back out of the woods in the morning she could not recall the village, or her house, or her grandsons, or even her own name. The wet gentleman ate all those memories. Her grandchildren brought her home and asked her if she felt ill, but when she opened her mouth all that came out were stories about the wet gentleman who lived in the well. The boys fretted and cried, uncertain and afraid, and hungry from only having three pennies worth of food that day. But then a knock came at the door, and when they opened it they found a basket full of brown bread and hard cheese and cured sausage and even two apples. With a meal in them, and with a few morsels coaxed down their grandmother’s throat, the future seemed ever so slightly less frightening. The boys went on, as people do, and ate their meals, and cared for their grandmother, who did nothing but tell stories about the wet gentleman until she died. One of the stories she told was the story of Miser Horton, a man so mean with his pocketbook that when he went down to the well, he stole the penny to pay the wet gentleman from the shoe of a boy who had left it behind to climb trees with his friends. Miser Horton strode through the woods holding up the hem of his cape so it would not get dirty and need to be cleaned, or snag and tear and need to be mended. The cape was velvet, and very old, taken as partial payment for goods Miser Horton had sold decades earlier. He would proudly tell you the story of that deal if you asked, and maybe even let you touch the cape in question. Miser Horton knew Little Susanne’s story, but he, like all the rest who have heard stories and have followed the moonlight path with pennies in their hands, did not expect the wet gentleman to climb out of the well. Miser Horton recovered quickly from his shock, thanks in part to his immediate disdain for the wet gentleman’s lack of care with his clothes. Did the man not know what water did to silk? “How does this night find you, sir?” asked the wet gentleman. “Jealous,” said Miser Horton, getting directly to his business. “So you would like to be handsome,” said the wet gentleman, and he reached out to place a hand on Miser Horton’s shoulder. Horton stood taller, his stomach receding while his chest and arms strained the seams of his shirt. His scalp itched, and thick locks of hair drooped down over his brow. From the well came the voices of women, calling to him, sighing his name. “Very well,” said the wet gentleman, and he offered his hand. Miser Horton took the wet gentleman’s hand, and then felt a chill on his shoulders. He reached up to pull his cape close, only to discover it was gone, and his shirt had turned from fine cotton to rough wool. “What have you done?” he asked, and looked into the wet gentleman’s face, where he saw the corners of that wide mouth flick upwards. Horton did just that, and one of the stories he told his children about the price you must pay the wet gentleman for a wish was the story of Little Susanne. Little Susanne lived in a cottage in the woods near the village with her mommy and daddy and her cat, Tugs. She loved Tugs very much. When Mommy and Daddy filled the cottage in the woods with terrible shouting, Little Susanne would pick up Tugs and take him outside and lean against a willow and hold him and pet him until he purred, then press her ear against his chest so all she heard was his warm, soft rattle and not the terrible shouting. One day her daddy threw a chair at her mommy and it missed and hit Tugs instead, and Tugs yowled, and scrambled about with his front legs, his hindquarters dragging on the floor. Daddy grabbed Tugs by the neck and took him outside, and when he came back he didn’t have Tugs with him. Little Susanne asked where Tugs had gone, and Daddy said he’d tried to help Tugs but Tugs had run off into the woods. After crying for a week, Little Susanne decided to go to the wishing well. Maybe she knew about the well from even older stories, or maybe from exploring the woods, from taking children’s paths over the ground and through imagination. Maybe you would know about the well too, even if you had never been told. Little Susanne took a penny from her daddy’s coin purse while he was snoring, and tiptoed through the door, careful not to let it creak or slam, and walked down to the well. She threw the coin in, and almost screamed when the wet gentleman’s top hat poked out over the edge, followed by his shadowed eyes and wide, downturned mouth. Little Susanne tucked a toe into the dirt and mumbled something under her breath. “You are scared, I understand that,” said the wet gentleman. “Would you like to be grownup, so you can be brave and sure like your mommy and daddy?” He knelt down in front of her and took her hand in his and she grew, and her hips and breasts swelled, and she stood looking down at the wet gentleman, kneeling and holding her hand. Little Susanne felt something else. She felt a stirring inside of her that was hot and safe and terrifying and awesome and hopeful and fearful all at the same time. From the well came the sound of a babe, crying for its mother. “No,” she said, and she pulled her hand free. She shrank back into childhood until her eyes were level with the kneeling gentleman, water dripping from his hat and from his jacket, and the corners of his mouth twitched downward even further. “Yes?” said the wet gentleman. “Thank you,” said Little Susanne, and she hugged the wet gentleman round his legs, which were stick thin and hard as rocks inside his suit, and she got all wet up the front of her nightclothes. As she walked home, Little Susanne saw a flickering orange glow through the trees. She heard a roaring, a snapping and popping. She smelled wood smoke, and something else, something oily and black, like when Mommy burned the bacon. Her house was on fire, and the heat singed her hair and dried her nightclothes. As she watched the house burn, Tugs stalked out from the woods and twined himself around her legs. She picked him up and held him to her ear, but even though she could feel the shudder of his purring, all she could hear was the fire. That’s how the villagers found Little Susanne when they ventured into the woods to investigate the fire. A family took her in, and she grew up in the village, always with her ageless cat at her feet or in her arms, and she married a good man with kind hands and a sharp mind, and one day she felt the stirring inside of her, and remembered looking down at the wet gentleman on his knee at her feet, and knew she was pregnant. She had many children, and told them about the wet gentleman in the well, that he was very powerful, and very dangerous, and not to be trusted, except maybe sometimes, because after all, Tugs stayed with her and purred for her until she died, whereupon he climbed onto her still chest, turned around three times and curled up and died as well, and was buried with her. Her family’s fortunes rose over time, until Horton Tathers inherited the estate. Then the family was poor. But the family never stopped telling stories about the wet gentleman. Horton told them, and Joanna told them, and Theo listened to his grandmother but did not believe her, at least, not until the day Theo and his wife could no longer pretend she was anything but barren, and Theo went into the woods. Theo went home, frightened, doubtful, half-convinced it had been a dream, and in a few months his wife woke up ill and felt the stirring inside her. When their son was born they named him Timothy, and Theo told Tim the story of Little Susanne, and of Miser Horton, and Ma Tathers. Theo told his son these stories to warn him, so the boy would know better than to ever go down to the well. You already know what will happen next, and you can leave this story while Tim sneaks down past the butcher’s, his loyal dog at his side and a penny in his hand. You can leave while the wet gentleman waits in the place that exists beneath the mouth of the well, his face split by a grin. You can leave this story while the wet gentleman thinks about the many pennies he has gathered, pennies that are copper, pennies that are bronze, and some that are small shells or glittering stones, and how long, how long it has been since he went down to the well, a boy clutching something that, once upon a time, stood for a penny. He has grown so much since then, and worn the finery of so many different ages, and through all that time he has remained a gentleman. Soon, soon he will be a boy again; a boy who will very much hate taking baths. And you, you who get exactly what you pay for, there may always be some wet gentleman waiting for you to throw your penny into the well, but you can leave any time you want. There is no magic to that. 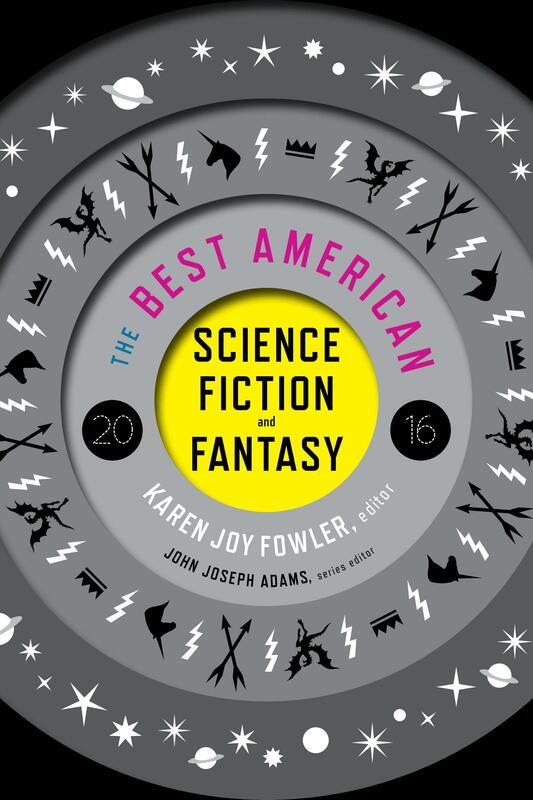 Will Kaufman’s work has appeared in Unlikely Story, Unstuck, Daily Science Fiction, and McSweeney’s Internet Tendency, among other places. 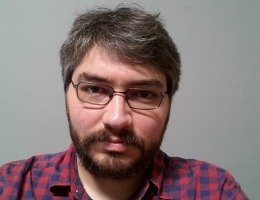 He received an MFA in Creative Writing from the University of Utah in 2011, and attended the Clarion Workshop in 2013. Currently, he is working on a collection of short stories and a novella. You can find Will online at www.kaufmanwrites.com, or in real life in Los Angeles, CA. If you’d like to follow Will, please do it on Twitter (@specwill), and not in Los Angeles.